Are these tumors related? That's what one visitor is wondering after her dog developed a second tumor near the location of a malignant tumor, leading to a secondary diagnosis of Horner's syndrome. Question: Are These Tumors Related? Approximately four months ago, I found a large tumor on my twelve-year-old dog. I immediately took her to the vet, who felt the growth could be removed, and that my dog was otherwise healthy enough to withstand surgery. The results of the biopsy were malignant melanoma with a poor prognosis. My dog has been doing great since her surgery. However, we also found out she had severe hypothyroidism so she's on medication that appears to have shaved years off her age. Today I had to take her in to the vet's again, and she was diagnosed with Horner's Syndrome. Most of the information on Horner's states that the majority of these cases are idiopathic and will resolve on their own in up to four months. However, there is a chance that pressure from the tumor could cause nerve damage. I'd like to think these tumors are unrelated, but I can't help but think that her cancer spread before the first tumor was noticed and now is the cause of the Horner's Syndrome. Both tumors share the same side of her face. Do you think they are related? Do you know any statistics related to Horner's Syndrome caused by tumors and mortality rates? I'm so sorry to hear your dog is having so many health problems. With what little I know about Horner's syndrome, the idiopathic form of the disease occurs spontaneously without an obvious cause. 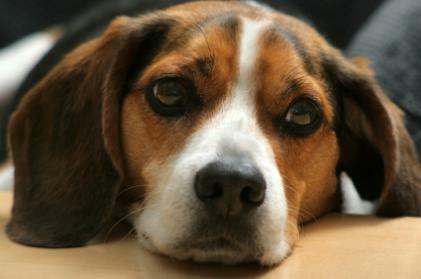 Since your dog's Horner's Syndrome has been instigated by a tumor, that makes it a more serious situation. In order to give a more accurate prognosis, your vet needs to determine if you are dealing with pre-ganglionic or post-ganglionic Horner's. This is determined by the exact location of the tumor. I don't have any statistics for you, but cases of post-ganglionic Horner's usually have a better prognosis than pre-ganglionic cases. All of that said, I would think that there is a strong chance that the tumors are related, given their close proximity to each other. One may have metastasized, or shed cells, that lodged nearby to form the second tumor. Please accept my very best wishes for your dog's health, and thank you for your question.